With its versatility, unique attributes, and beautiful natural look, it really is no wonder that more and more people are opting for interior and exterior concrete. This is not to even mention that it requires very little maintenance and care over the years. With that being said, it doesn’t mean that concrete is completely maintenance free. If you truly want your concrete to look great and maintain its beautiful look over the years here are some tips and techniques that you can use. For the most part, concrete is durable, long lasting, and requires very little maintenance. So, when most people talk about upkeep and maintenance, it raises a lot of eyebrows. With that being said, you might be surprised to learn that properly maintaining your concrete will not only extend the life of it, but it can make it look better than ever. In fact, proper maintenance and cleaning can bring it back to life, while also removing stains, dirt, and dust. Along with this, proper maintenance and cleaning will ensure that you truly protect your investment. 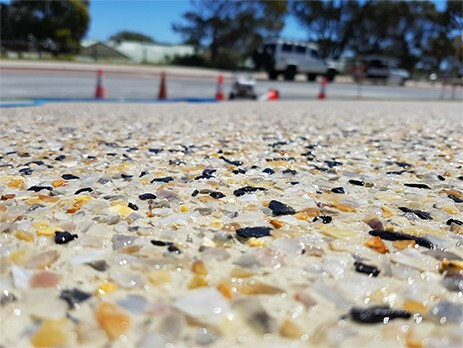 Cleaning your concrete occasionally and reapplying sealer is without a doubt two of the best measures that you can take when it comes to caring for your concrete. But, how often should you clean and reseal your concrete? This really depends on the weather, traffic, and the types of environmental conditions that your concrete is exposed to. Generally speaking, you should reseal your concrete every two years or at least when the finish starts to show wear and tear. While there are a variety of different sealers available on the market, make sure that you always adhere to the manufacturer’s recommendations on the back of the product to achieve the best results. A sealer can really help protect your driveway from stains absorption, but you really don’t want to let a stain sit on your concrete any longer than you have to. As soon as you spot the stain, you should immediately do your best to remove it. If the stain does cause some discolouration, you can try pressure washing it to remove the discolouration. Keep in mind that there are a variety of chemicals that you can mix in your pressure washer that will help fight stains. If you have a long, narrow, and steep driveway, you have probably found yourself using deicing materials during the winter. While this might be necessary to ensure that you can get in and out of your home during the bad weather, deicing chemicals can really damage the surface. These products contain nitrates and sulphates that are extremely harmful, because they attack the concrete chemically. If you must deice your drive, your best option is going to be rock salt. Rock salt will still damage the concrete, just not as much. Some individuals will even opt for sand instead of rock salt or deicer. 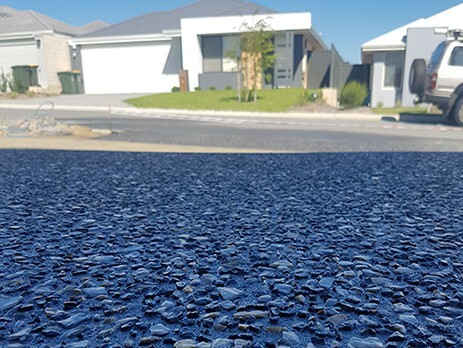 It is true that concrete is one of the most durable materials available, but unfortunately, residential paving concrete might not be designed to handle certain loads. For instance, a moving van packed with furniture or a flatbed truck loaded down with heavy machinery might be too much for your driveway to handle. In addition to this, when you are ploughing, you should avoid using metal ploughs or a shovel, because they can scrape the surface of the concrete and cause damage. Polish concrete floors are extremely durable. So, they require a whole lot less maintenance than other forms of concrete. Fortunately, due to the polish and seal, these types of floors will not require constant sealing or waxing. With just a little bit of basic cleaning and mopping, you can ensure that your polished concrete floor maintains its shine for years and years. However, there might come a time when the high-traffic areas start to dull and lose their shine. When this happens, the area can be rebuffed back to its original look with a commercial buffer. Just buff the area with a buffering chemical and that should bring your floor back to its original look. If you notice that your concrete floor is cracking or has scratches or gouges, you should know that these imperfections could almost always be fixed with patching materials. Whatever this situation is, you want to make sure that you are tackling these spots as soon as you notice them, because they will eventually worsen and lead to more and more damage over time. Unfortunately, if the cracking is too far widespread the whole area might have to be resurfaced and you should be more diligent to maintain your backyard to keep it looking fresh. When it comes to interior concrete, there is simply no better way to stop dirt, mud, and scuffs than by stopping it right at the starting point. Lay floor mats at all of the exteriors doors so that individuals can wipe their feet as they enter the area. Outdoor scraper mats are even another great ideal that will give people the ability to remove any small debris from their shoes that could potentially cause damage. In addition to this, you could make people remove their shoes before entering the home. Even tough interior concrete is extremely durable, there is no better way to protect it from getting scratched and scuffed than by applying floor protectors to all your furniture.